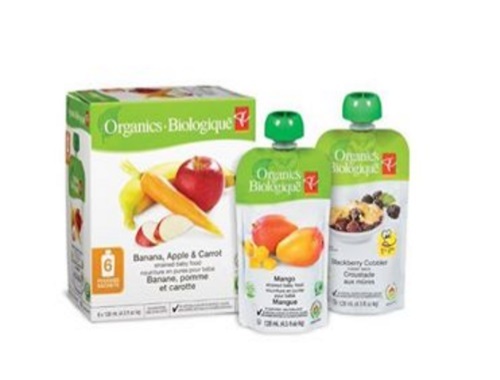 Loblaws is recalling all their PC Organics strained baby food pouches! A manufacturing error resulted in excess water in the product, which under certain circumstances could support the growth of C. Botulinum and pose a health risk to consumers. Customers can return the product to any store where PC products are sold and the customer service desk will provide a full refund, with or without a receipt.